Who can resist mini poros wearing onesies? From Limited Edition figures to poro plushies, Riot Games is offering several new League of Legends merch items to celebrate April Fools’ Day. Special Edition Pizza Delivery Sivir and Moo Cow Alistar are the latest Limited Edition figures in Series Three and are available for $25 and $30, respectively. Like most figures, the two new Limited Edition toys are closely detailed and stand at just under five inches each. Pizza Delivery Sivir sits atop her delivery scooter with a pepperoni pizza in hand, trailed by a hungry poro, while Moo Cow Alistar, dressed in his iconic cow onesie, bangs on a cowbell on top of a coin-operated bottle of milk. 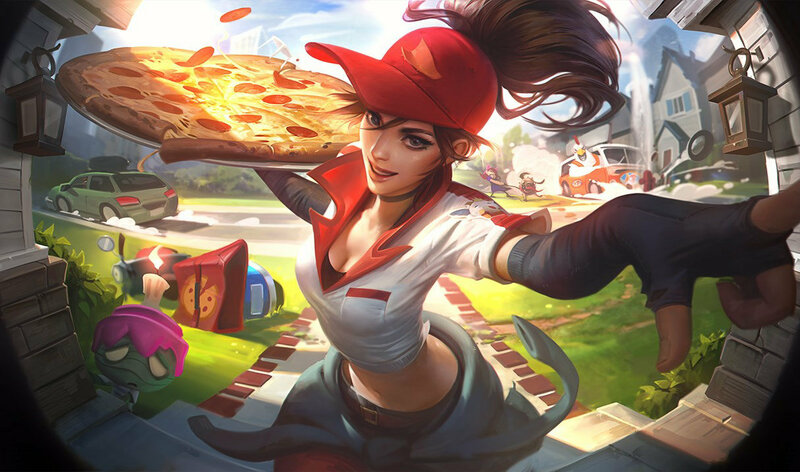 As part of the Limited Edition series, the Pizza Delivery Sivir and Moo Cow Alistar figures won’t be around forever—so fans better act fast if they want to get their hands on the new collectibles. To further celebrate the holiday, Riot dropped a new line of poro-themed collectibles, including onesie-wearing mini plushies and two poro-shaped cushions. The line of mini plushies comes with four poros in Dino Gnar, Meowkai, Urf, and Tibbers onesies. The two poro cushions, each sold individually, feature a crying and a winking poro. Finally, the Rengar and Nasus collectible plushies have gone on sale to celebrate the Cats vs. Dogs seasonal event. Both of the toys are being sold at a 20-percent discount, coming to $16 each, until the offer ends on April 24.